Ah, yes, where did I leave off? Right, we had just finished with the Penguin Parade! 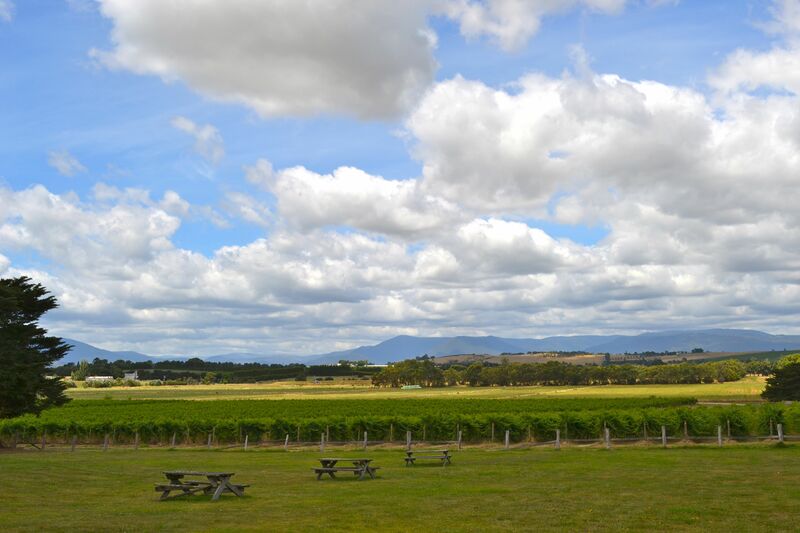 The morning of the 28th, we headed down to Flinders Station to catch our bus for our wine tour of the Yarra Valley. I’m not sure that Rusty and Jessica were quite as excited about this day as I was, but I knew they’d get into it. 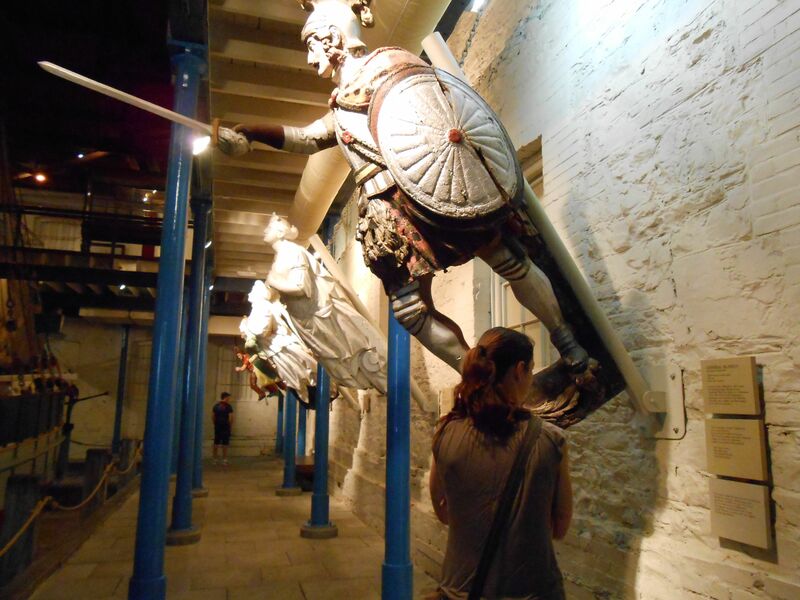 If nothing else, we’re all nerds who love guided tours full of trivial facts about things. Yes, things. Any things! Rusty and I once went on a guided tour all about tree moss at a forest in Olympic National Park in Washington State, USA. We like learning about things. The weather was a little overcast as we arrived at the first winery on our tour, Chandon, a branch of the French Moët & Chandon. 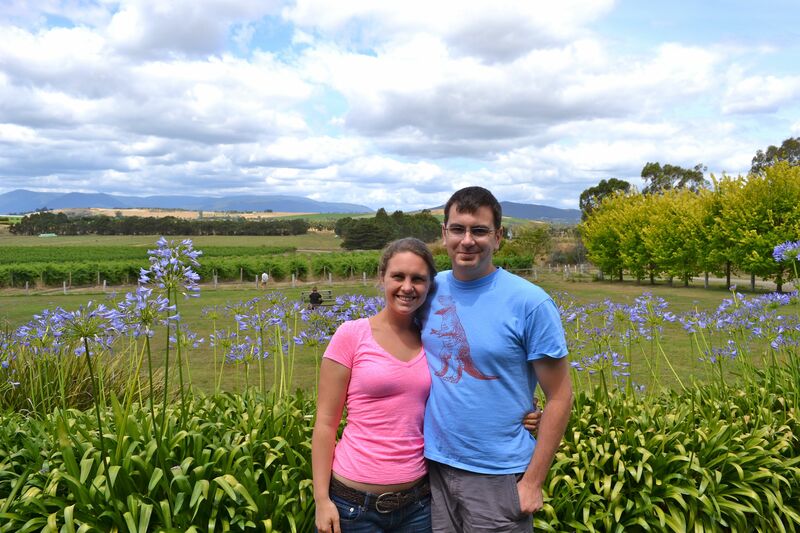 The estate was gorgeous, fancy, and we got absolutely schooled about sparkling wines. The roses at the ends of the rows indicate the types of grapes on that vine–white or red. 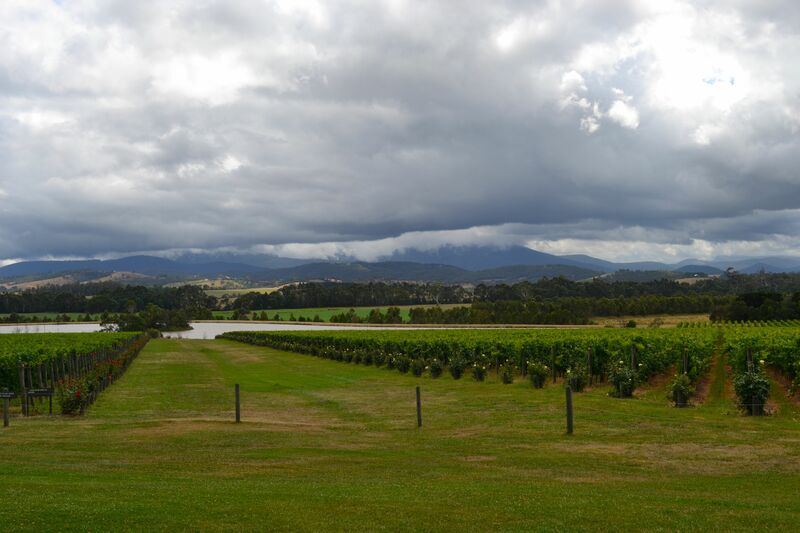 The Yarra Valley produces primarily white wines and grapes because of its elevation and weather, but the Chandon winery produces both sparkling whites and reds. 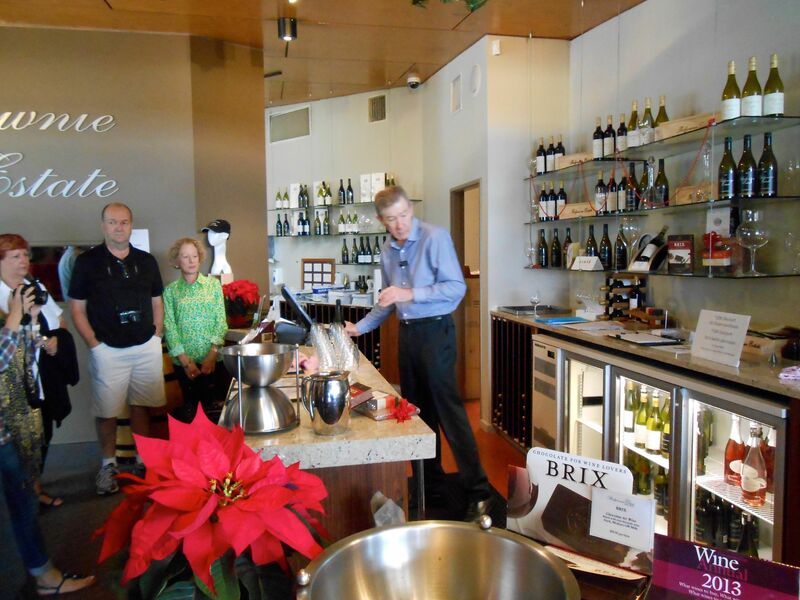 We had a wonderful, educational tour of the facilities and caves (I’ll spare you the details), and then we headed to the bar to taste some of the wines. My, my, I have a handsome husband, don’t I? Jessica and I both tried the sparkling red, and Rusty got the traditional sparkling white blend. Both were delicious! 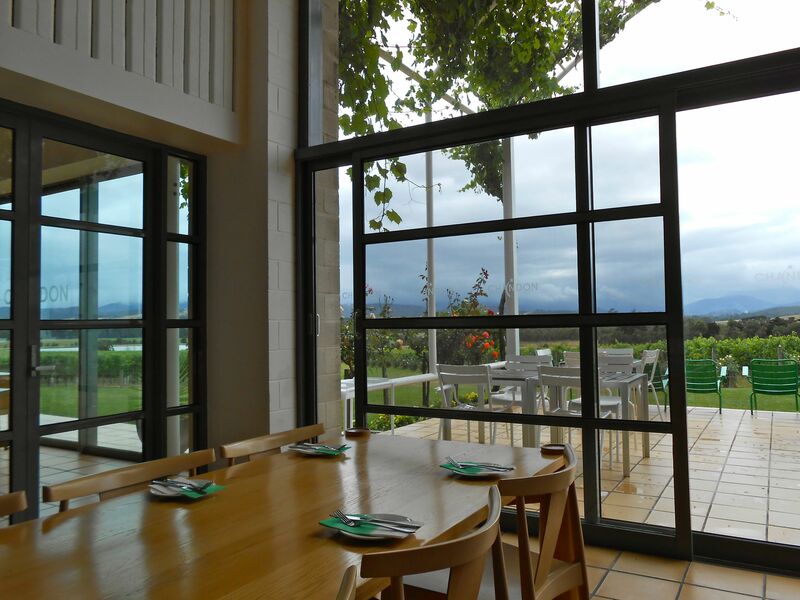 The winery estate was beautiful, too, as you can see in the pictures above. 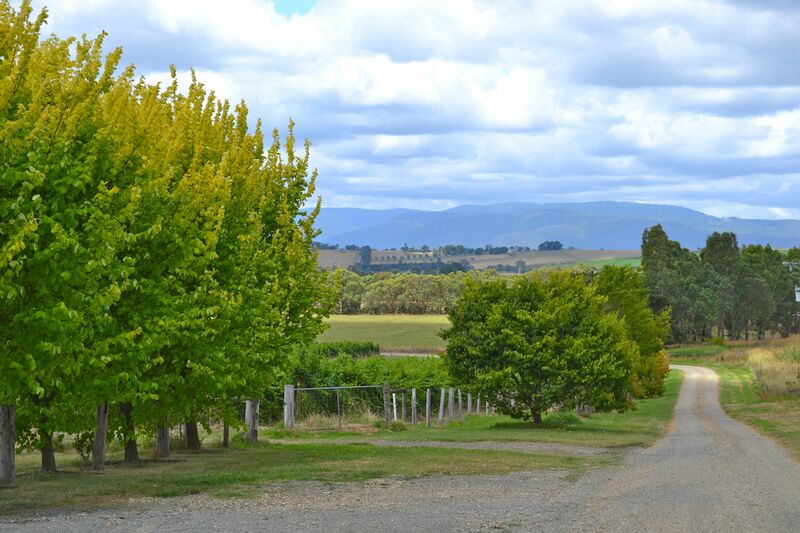 I understand why people want to get married at wineries–how picturesque! 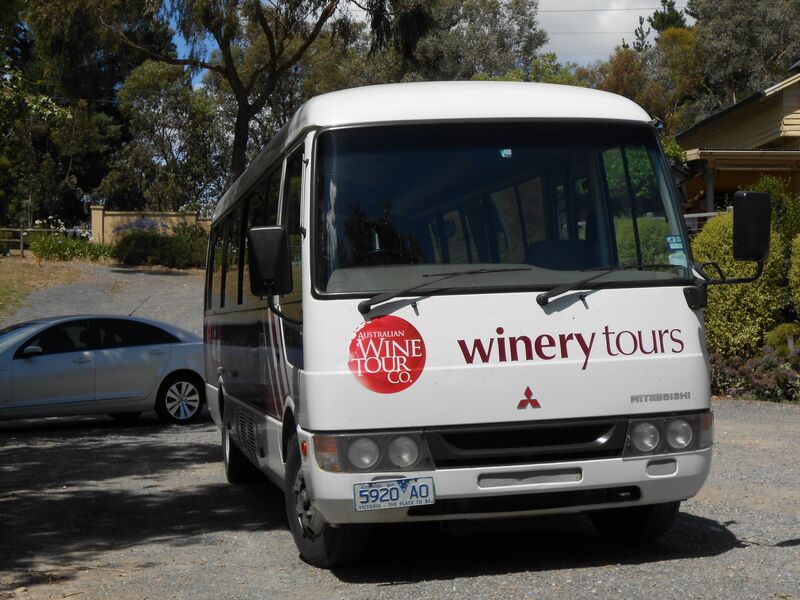 After Chandon, which was a huge winery, we hopped on the bus and headed to our next winery, which was tiny in comparison. 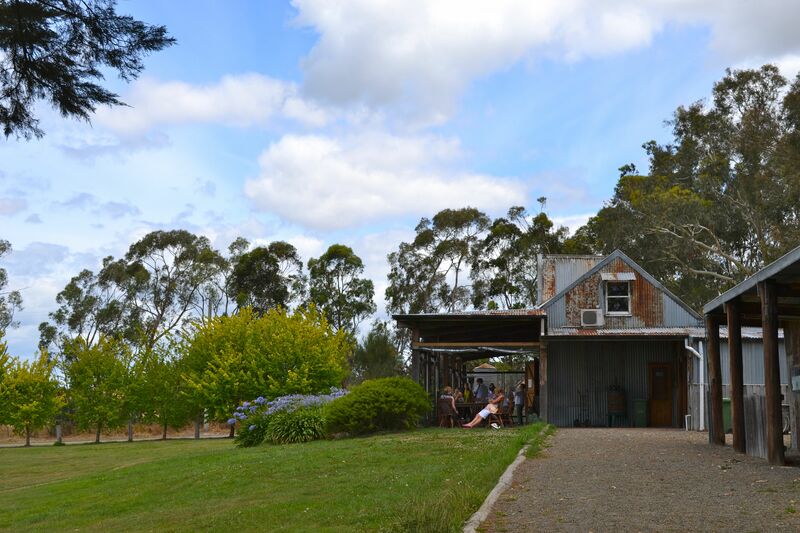 At Balgownie estate, what they lacked in size, they made up for in breadth of offerings. We must have tasted ten different wines! This estate was beautiful too–and I really should have taken more pictures–but we had a pretty singular focus when we got there: Lunch. After our tasting, we went straight to their restaurant where we had a beautiful lunch and another fantastic glass of wine. I had an amazing risotto, Jessica had a huge steak, and Rusty had the chicken caesar salad. Yum yum yum. 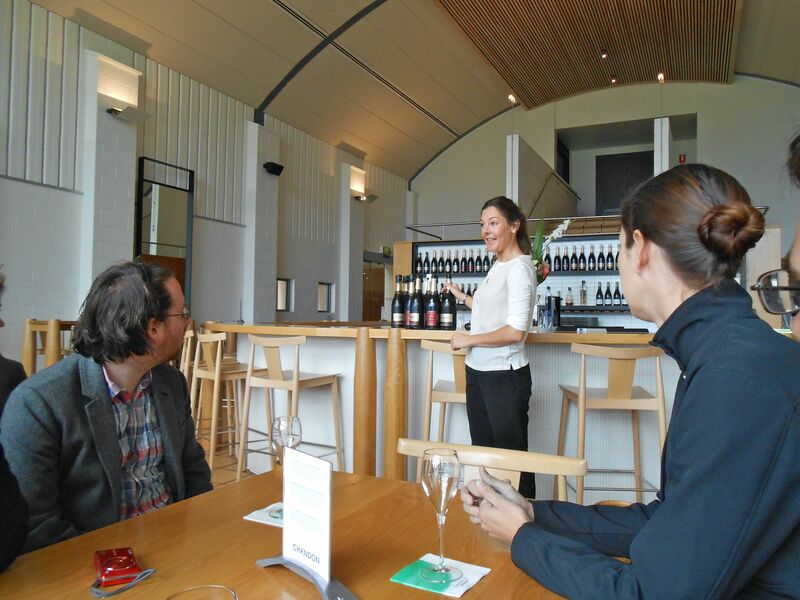 After lunch, we were off to the cellar door at Yering Farm to taste some of their delicious wines. The wines were good, but this part of the tour was less educational than others, and we weren’t really into all of the wines (none of us can really tell different wines apart that well), so we walked around the estate. 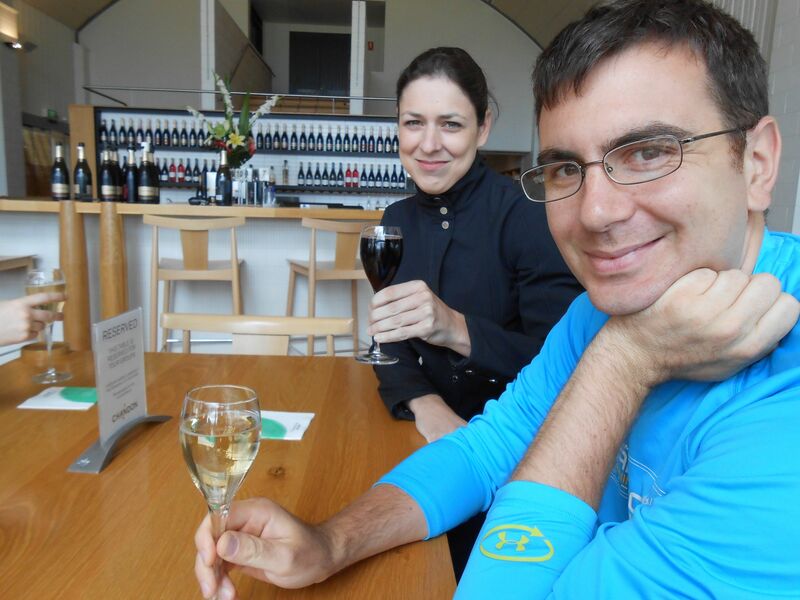 Wine tours are endurance events. No way around that. There is a bit of walking and a lot of drinking involved, and I’m not sure we were prepared! 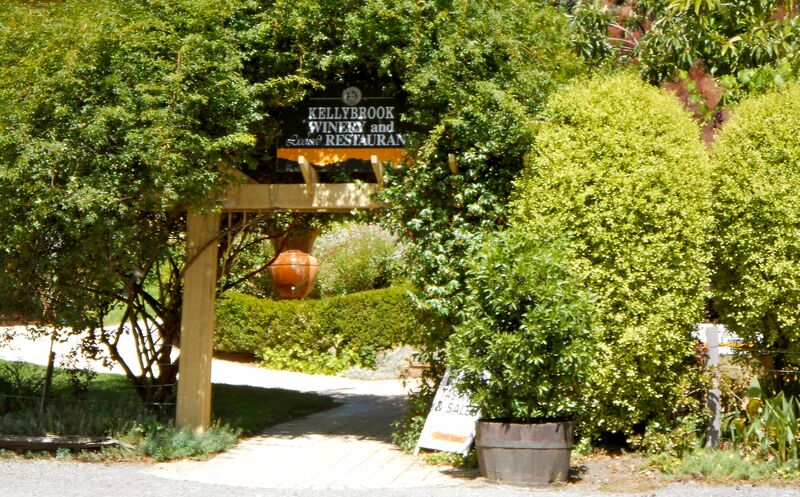 We left Yering Farm, and by the time we got to our last winery, Kellybrook Winery, we were exhausted. 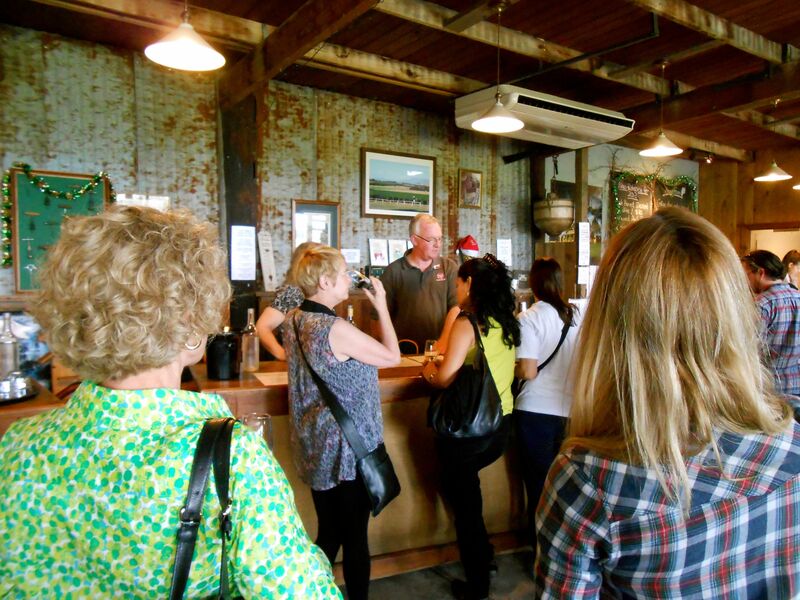 I can tell you that the last winery also had apple cider, which was amazing, but that’s about all that I remember. 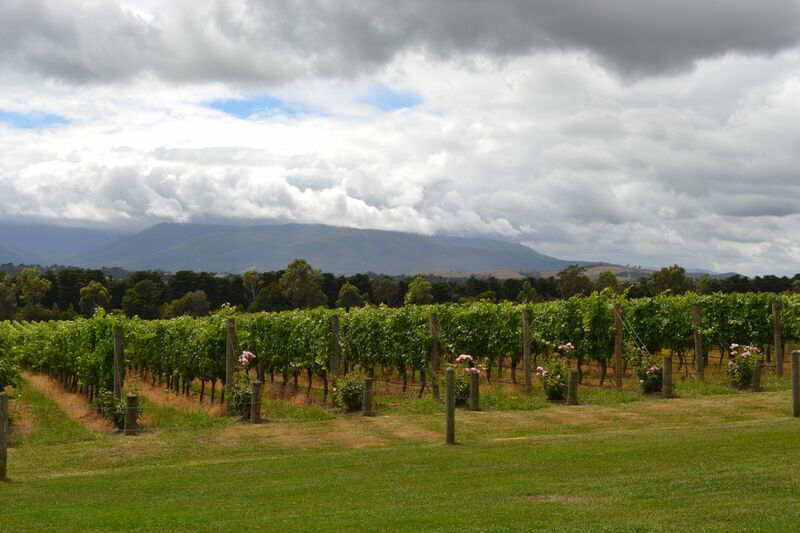 Next time I plan a ten-day excursion, I won’t schedule a wine tour for our “rest and recovery” day! Whew! It’s hard work! We were ready for the bus to take us back to the hotel. Though we were tired, it was our last day in Melbourne, so we somehow found the energy to walk down through town, across the river, and into some of the gardens in the city. 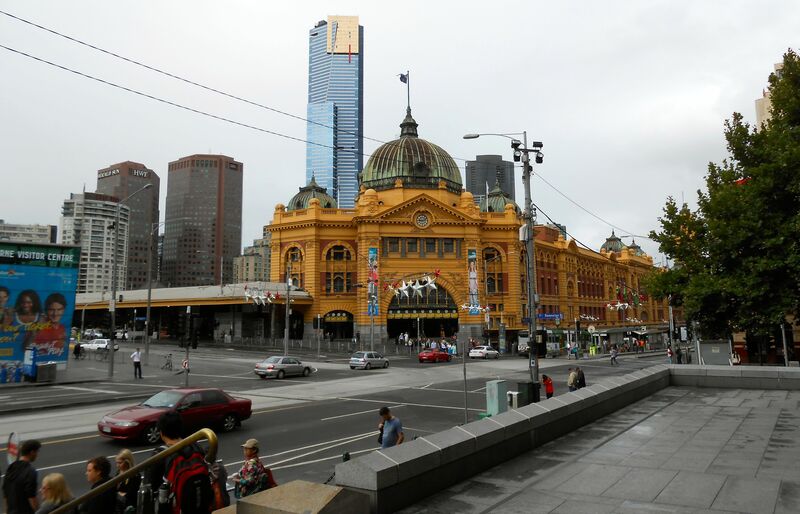 For those of you following along at home, we started at our hotel near the intersection of Little Collins Street and Spring Street, and we walked down to Flinders Station at the intersection of Flinders Street and St Kilda Road. 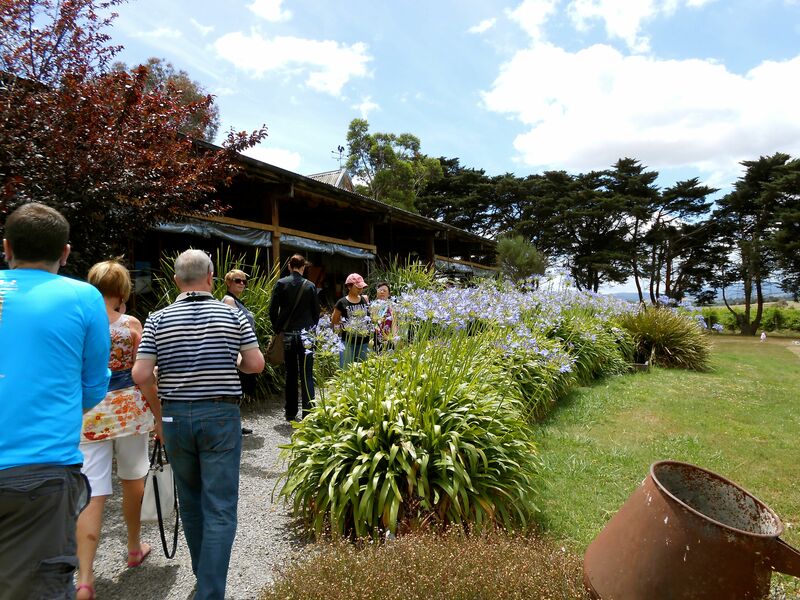 We took St Kilda Road to its intersection with Yarra Bank Highway, and then walked around some of the gardens there–the Queen Victoria Gardens and some of the botanical gardens. It was twilight when we left the hotel and just dark when we were walking back, which somehow made Melbourne even more beautiful. Melbourne isn’t a big city, but it’s a unique city with a lot of character. We were all happy that we had the opportunity to experience it, and Rusty and I can’t wait to head back! 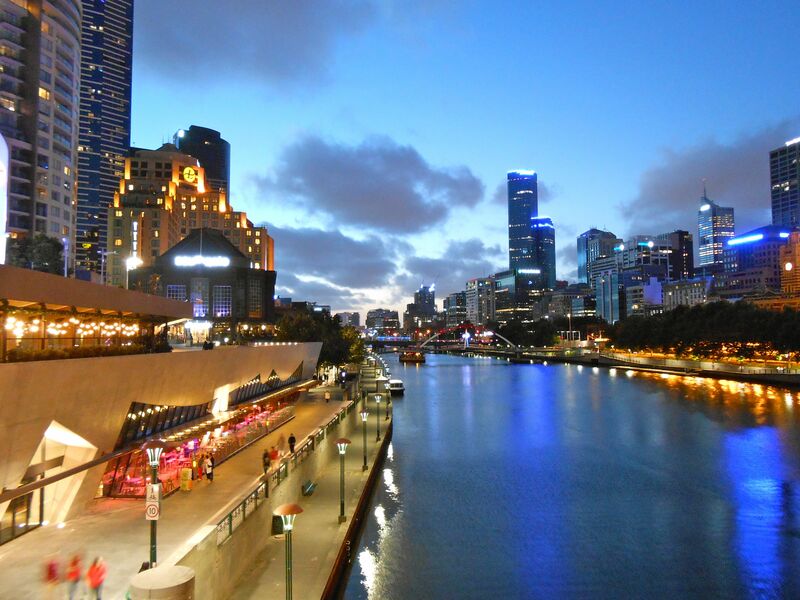 There are so many more things to do in and around Melbourne that we didn’t get the chance to do. We definitely want to drive along the Great Ocean Road out to the Twelve Apostles, and there is SO MUCH good hiking to do in Victoria! We’ll definitely go back there soon. We talked a lot about Australia and how lovely it is, and then he dropped us off at the airport. Cue a series of hilarious airport situations. We got to the airport in what we as Americans had determined to be a sufficient amount of time to clear security and get breakfast before a domestic flight (plus about 20 minutes because when you’re traveling with me, I insist that we be ridiculously early when airports are involved.) We were WAY to early. Oops! Security at the Melbourne airport was just a metal detector. When I asked if I needed to take off my belt, which had a metal buckle, the security guard responded, “Eh…why don’t you just give it a go, and we’ll see if it sets the thing off.” (It didn’t.) This was not an experience that you would have at an American airport! We laughed all the way down the terminal…and then we had to wait a couple hours. 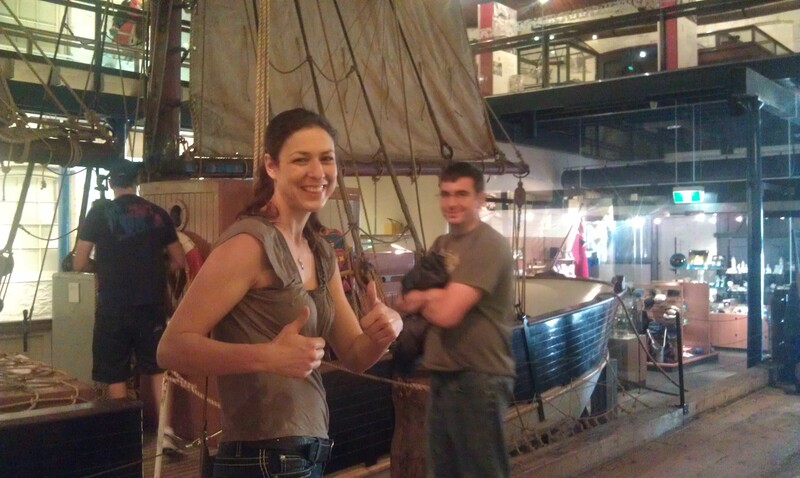 Jessica was not terribly excited about what was about to happen. We were taking some pretty small planes from Melbourne to Adelaide and then Adelaide to Port Lincoln, and Jessica does not like flying! She was a trooper, though. Luckily, they were short flights. It’s hard to believe that we thought the plane below was small. It was a tank compared to our next plane! 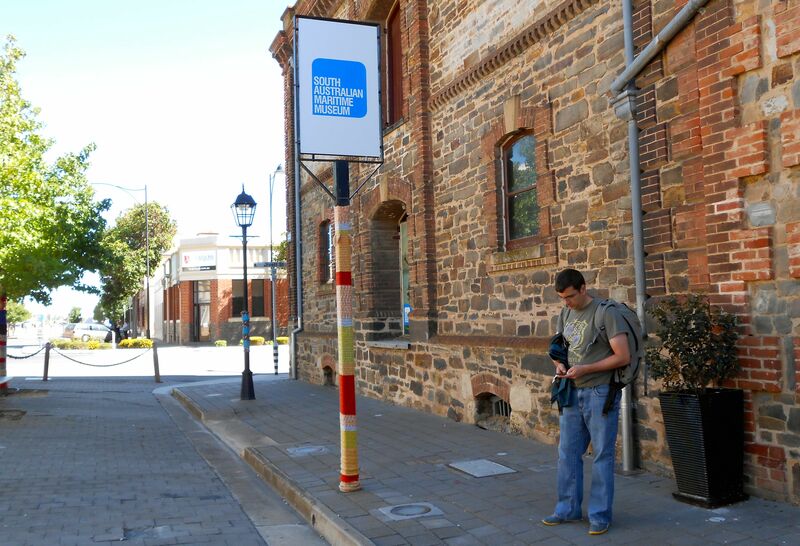 We had a five-hour layover in Adelaide and weren’t quite sure what to do with ourselves, but the Good Book (also known as Lonely Planet: Australia) informed us that there was a maritime museum in Port Adelaide, which was just a $20 cab ride away. We were totally into that. Things we nerd out about: Birds, bikes, boats. Also, goats. Sometimes plants. Definitely fish…and Top Chef… Okay, there are a lot of things, but boats are near the top of the list. The museum had an exhibit called “Salty Busts,” which we quite enjoyed, though most of them were men and not mermaids like we had expected. The museum also had a really interesting exhibit about the dolphins that live around Port Adelaide, which I found really fascinating. Our museum tickets also included entry to the lighthouse, which you could climb up. 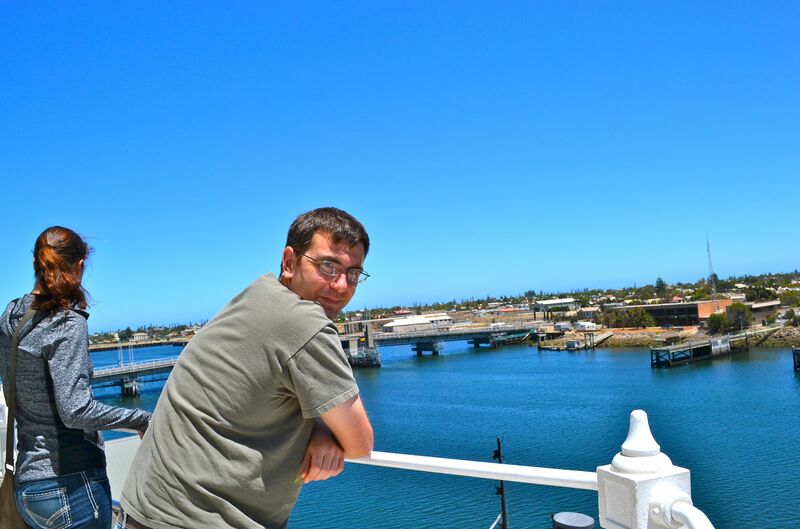 Unfortunately, the view wasn’t too terribly stunning, as Port Adelaide is really just a tiny port town in South Australia. It was still fun, though! Yes, the sky in Australia really is that big. And it really is that blue! After the lighthouse, we had some lunch and headed back to the airport. The Adelaide airport was even more ridiculous than the Melbourne airport in terms of size and security. We pretty much just walked on in. 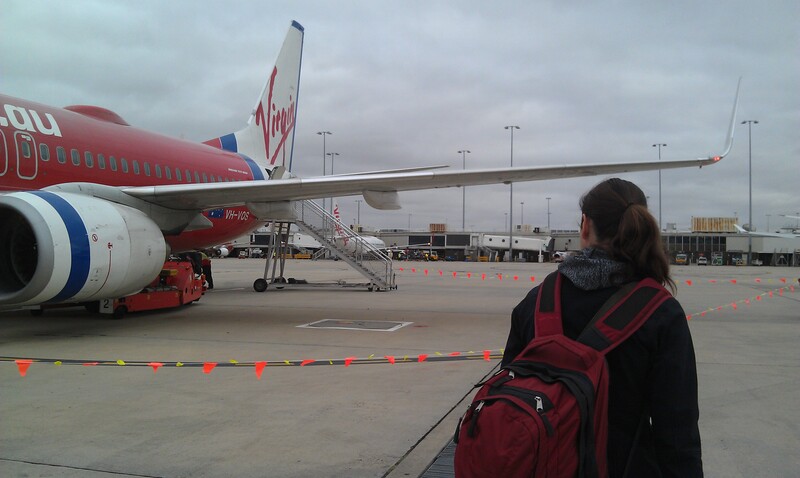 Jessica was not amused by the size of the plane we took from Adelaide to Port Lincoln. It was tiny! The flight was short and sweet, and then we arrived at the smallest of all the airports. In fact, it was so small that we didn’t even go inside it. 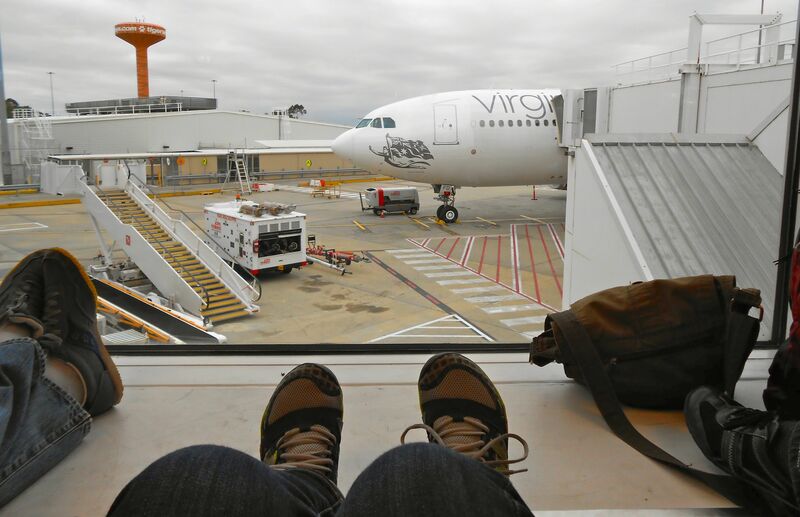 After the plane landed in Port Lincoln, we deplaned to the tarmac and walked through a turnstile to the taxi queue. 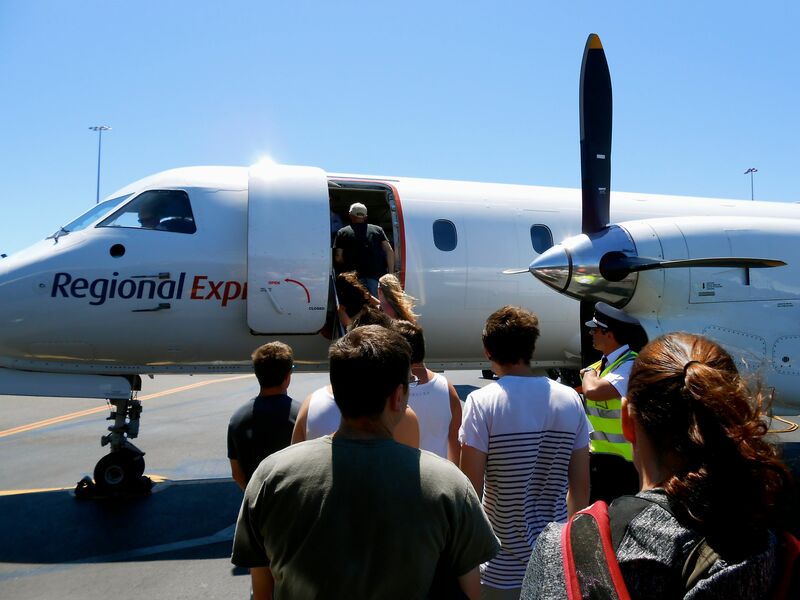 Port Lincoln doesn’t have a proper taxi service anymore, but while we in the air the stewardess asked us passengers if any of us needed a taxi, and then she ordered taxis for those people who requested one. The drivers were standing in the taxi queue next to their cars with little whiteboards with airplane seat numbers written on them. 8C? Yep, that’s us! The taxi took us to our hostel in Port Lincoln, and then we promptly passed out. We had an early wake up call the next day–it was time to dive with the sharks! Did you miss Holiday Vacation, Days 4-5? Holiday Vacation, Days 1-3?